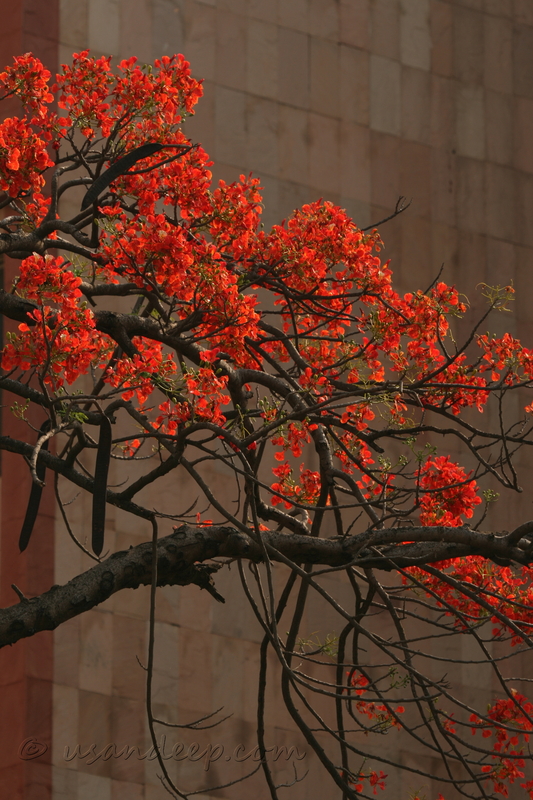 If Bangalore residential areas are laced with yellow in January / February (see 'Tabebuia flowers at Bangalore'), come April, it turns red, thanks to the blooming Gulmohars! But, this particular tree, near Trinity circle will not bloom again, thanks to the metro rail construction. When I passed via Trinity circle half an hour after taking this picture, the tree was uprooted.